Are you in Thailand? 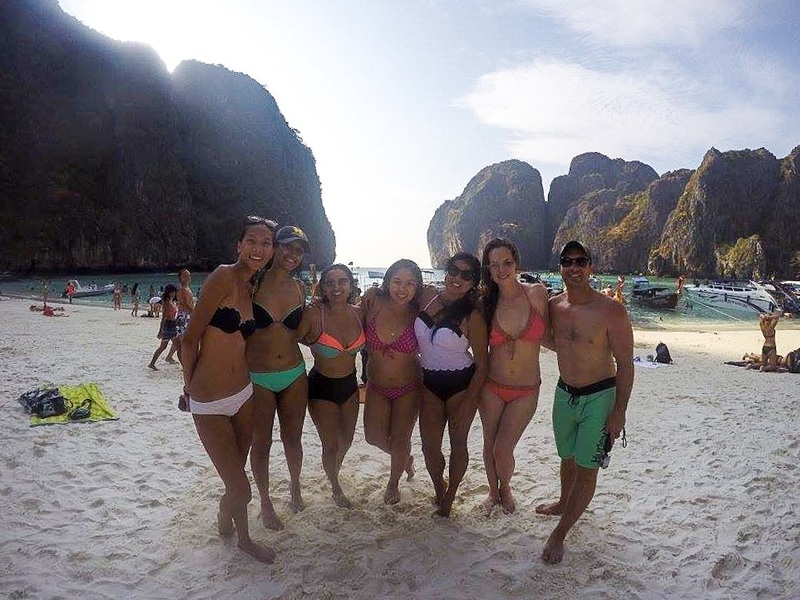 Phi-Phi precisely and you are looking for a fun-filled and easy way to see all the gorgeous places that surround Phi Phi, do you enjoy swimming in the coolest place and meeting wonderful people, drinking, having lots of parties and seeing some amazingly beautiful scenery? 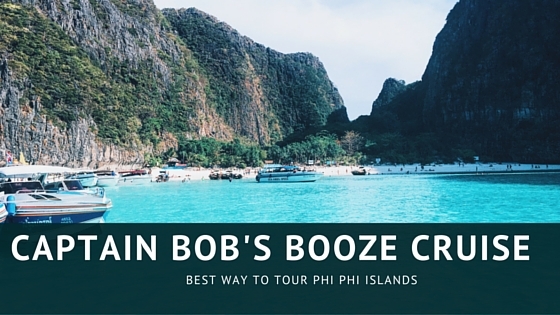 Look no further, all you need to do is to book the Captain Bob’s Booze Cruise tour ASAP …. 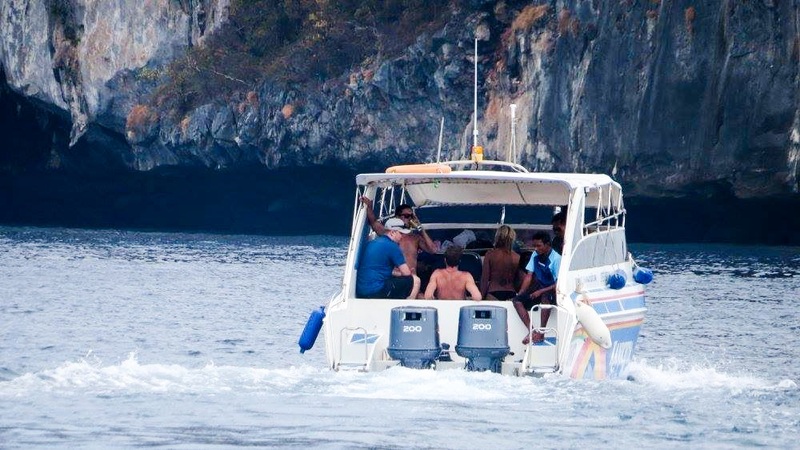 This is the most excellent boating pleasure trip on the Phi Phi Island! 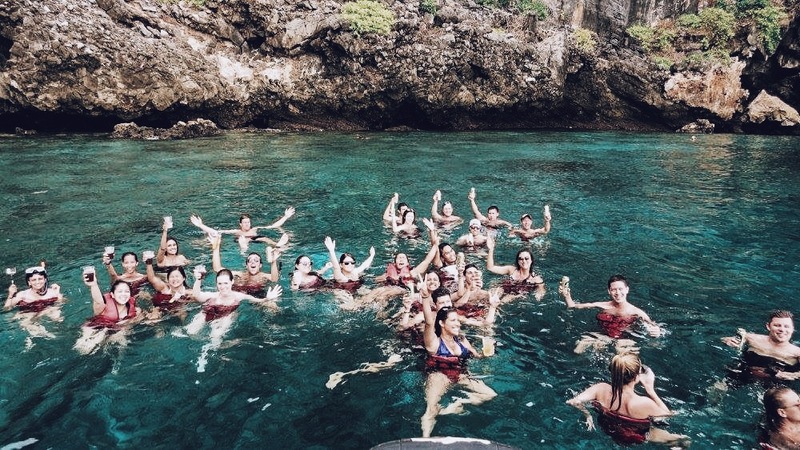 This is absolutely “a have to do” activity while you are in Phi-Phi. 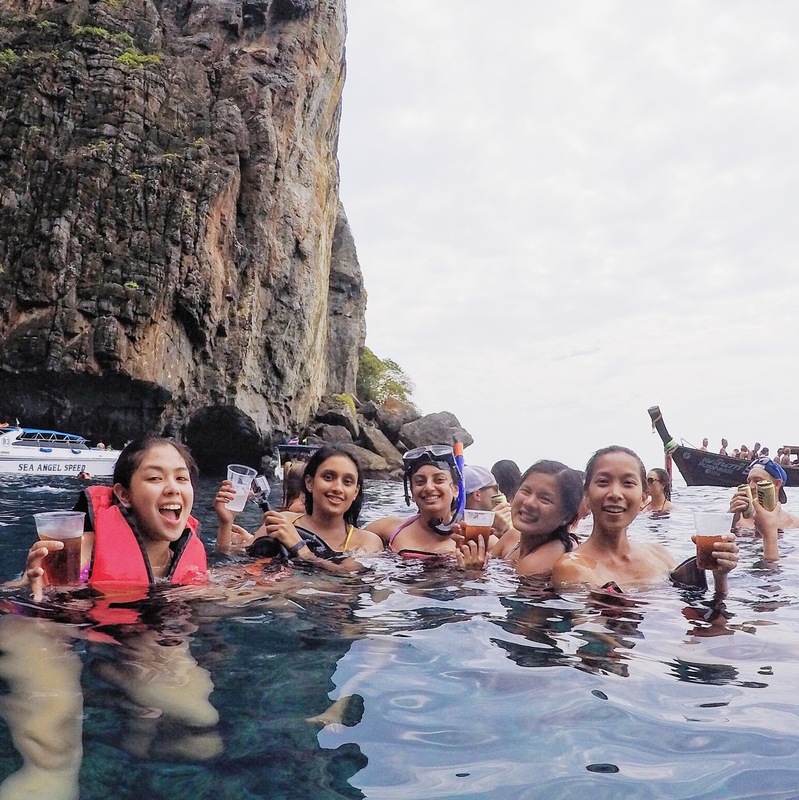 The tour will give you ample time and opportunity to spot almost everything around Phi-Phi, while enjoying an incredible cold boozing experience. The activities outlines were great, the snorkeling was worth it. 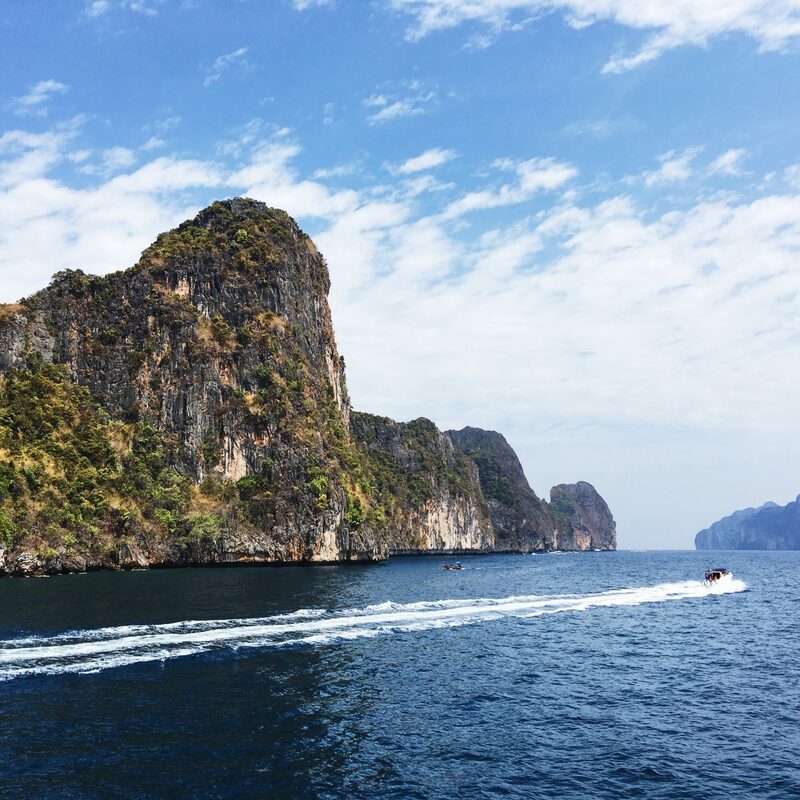 I can guarantee you that sailing on Captain Bob’s Booze Cruise is a pleasurable trip which will give you the chance to discover the most stunning places on Phi-Phi Islands. Captain Bob’s Booze Cruises are scheduled to depart at 13:00 and return at about 19:00. It combines activities like fishing, cliff jumping, kayaking, snorkelling, fishing and interestingly the wild monkey feeding. My friends and I had so much fun. 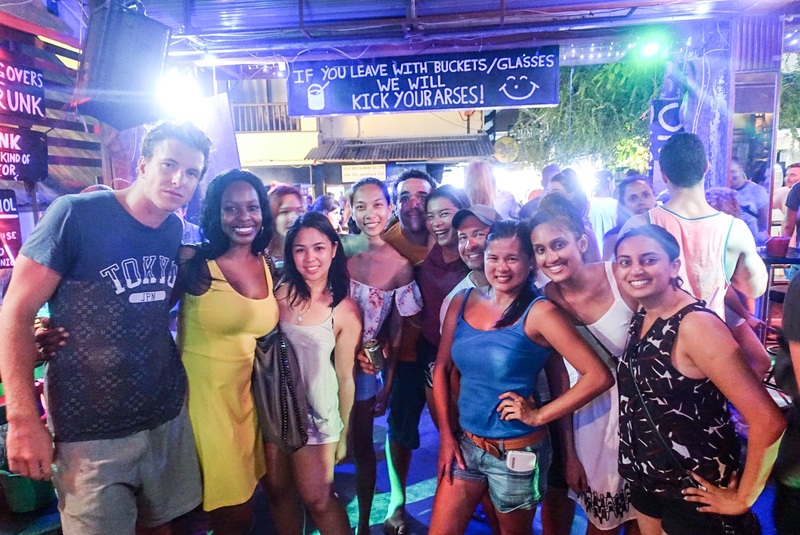 In short, it is the coolest ways to socialize with other while having unlimited fun and unlimited cold beer! The crew were super sociable, friendly and awesome! If you ask me if I will do these tour again? My response will be YES, I will definitely do this again and again when next I am in Phi-Phi. Once we got on board, we all introduced one another and where we came from. Our tour guides went from beach to beach depending on tide and of course during fewer tourist times which I simply liked. Our guide Frank told us waiting for the tide would mean less people when we get there. 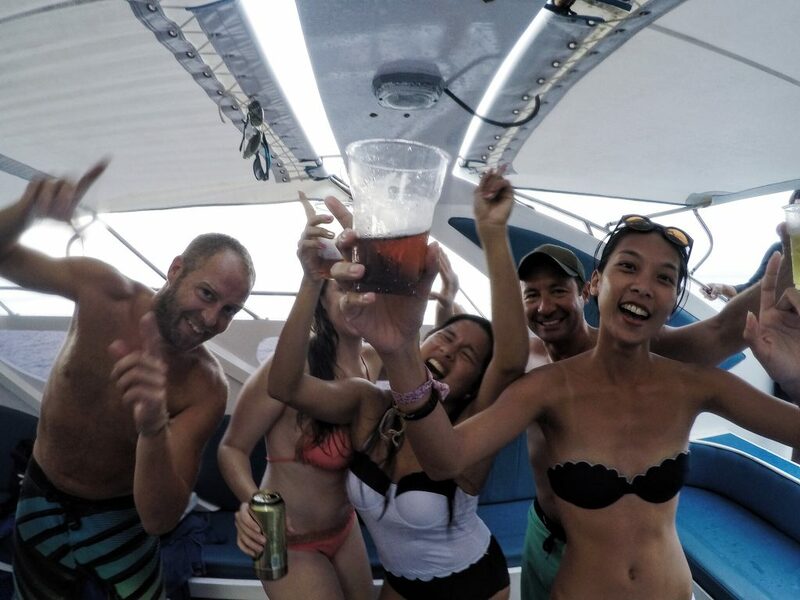 There was cool danceable party music on board, the speed boat was big enough so we had enough space to dance, merry and booze off. As for me, I really don’t need to get high on alcohol to dance; I just naturally enjoy music and love dancing. Laughs. The men were given only beer while the ladies had an option of beer, rum or vodka coke. Despite being a “booze cruise” the tour guide also ensure they monitor the people and try to control those who might likely get drunk. We visited the Monkey Beach; this is a popular destination for tourists who are daring enough to feed wild crazy monkeys. Unfortunately, when we got there, we could no longer feed the monkeys. Frank said they might be more aggressive at that time so he advised that the conditions of the monkeys be checked. It would be recommendable to have your booties on while on this tour (i.e the aqua shoes). This is because it is rocky here. One of our tour companions even stepped on an urchin … Scary Right? Well, it is nothing to be scared of, the crew of the Booze Cruise were fully prepared for such incident, and they had medical and first aid on board and knew exactly what to do. We also visited the Viking Cave. It was truly very momentous cultural artefacts that not only amaze us but it also an abode to a thriving bird nest soup industry. So we were not approved to enter into the cave. Nevertheless, Captain Bob got us a little close enough to take some memorable pictures and he also briefed us on the history of Viking Cave. Loh Samah Bay is another island you won’t want to miss out. It is a very trendy location for snorkelling. Finally, we arrived at the more popular Maya Beach. Maya bay was as expected crowded, don’t get me wrong, still a pretty island but just too crowded with people and with boats. It was worth the stop. It is a stunningly beautiful bay that is secluded by soaring cliffs and three beautiful beaches. 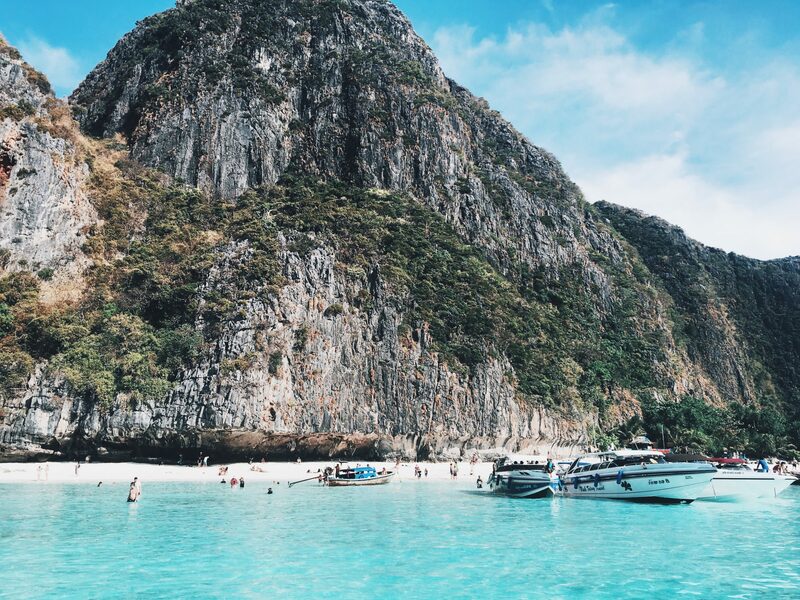 Maya Bay is obviously everyone’s favourite spot but mine was Pi-Lei Bay, it was a cove, felt like a secret cove. We hardly saw anyone while we were there. It is surrounded by rocks… Super nice! We all just sat with our nappies; we jumped from the back of the speed boat, conversed and danced the night away. Pi-Leh Bay is the most stunning place where you are surrounded by huge mountains and crystal clear waters. This Bay is too striking and beautiful that I find it hard to put it into words. It is definitely my best memoirs of nature from my entire Captain Bob’s Booze Cruise. This is not a place you should miss seeing when you in Phi-Phi! We got back to the pier at 19:00. We were given time to change and then we met again at 21:00 to hang out and party. 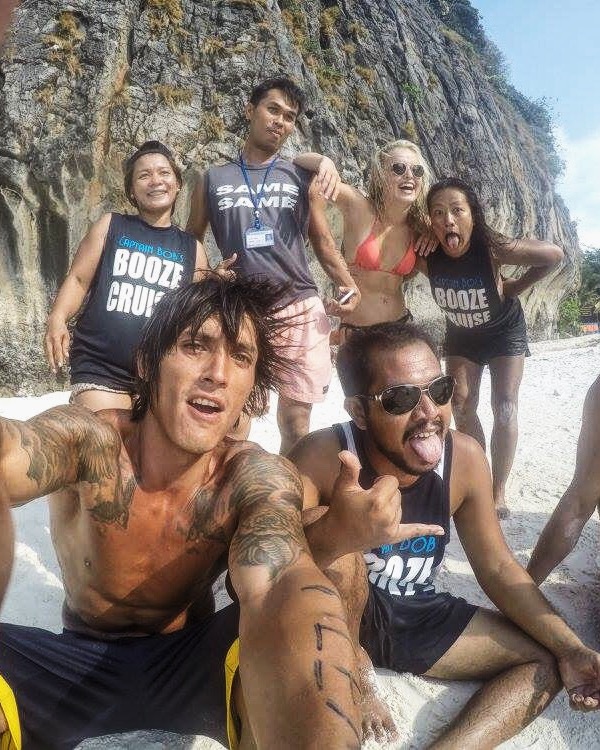 If you are in Phi-Phi and you did not do this booze cruise, then you have missed out a lot of unlimited boozing fun. I guarantee you will have loads of fun hanging out the entire crew as they sure do know how to have fun! It was absolutely worth it. The boat goes to all the exquisite islands and bays around Phi-Phi. You get to feed wild monkeys, snorkelling, kayaking etc Oh less I forget; you also learn to wear a lifejacket! The Nappy Style. Laughs. You have time to lie down and rest at famous Maya Bay, and also experienced the most mesmerising sunsets while floating on water. Without mincing words, this is one of our memorable tours in Phi Phi. Plus there’s lots of beer (ahahahaahhah not that I drink beer, I don’t, I went for Rum Coke). And then an after party with new found friends (something, I always enjoy) . And they give you all of the pictures taken during the tour you just have to give them a USB or an SD card. It was a Fascinating, Fabulous and Fantastic enjoying six-hour trip (lol)! Although the price is pretty high for most tourists ( 2500 Baht for women and 3000 Baht for men ) but it is 100% worth it. After all, you pay a little less with the others minus the awesome service and great company. My review will be incomplete without saying thank you to the Captain Bob’s Booze Cruise crew. They were absolutely incredible. Phi phi is definitely on mine too…Looks such great fun, and Who doesnt want some of that 🙂 Thanks for sharing! Looks like a lot of fun. Beautiful islands, lovely beaches, great booze and great company all rolled into one. An awesome experience. What a fun tour in a beautiful place wherein you can really enjoy nature, know a lot of people with thesame interest awesome. 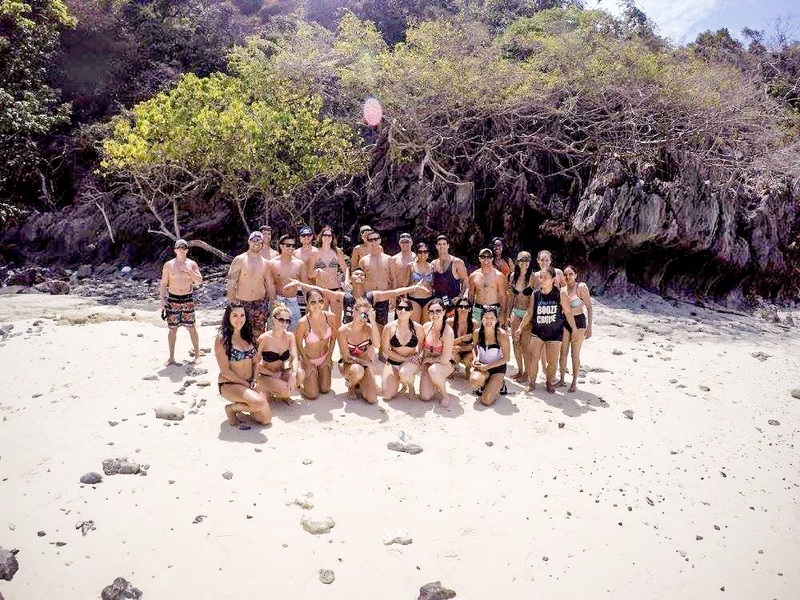 Does Pi-Leh bay have sand as good as Boracay? Looks like a lot of fun there! I’ve been to Thailand, but only in Bangkok. Might just consider going to these places next time! Phi Phi island itself resembles a smaller Boracay. It feels like D Mall. Pi Leh feels more like one of the coves in Coron. I keep trying to remember Phi Phi Island… it is where a movie was shot… Leonardo Dicaprio movie? Since then I have seen this island many times and always admired its beauty, but to go on a cruise, wow, that is a fantastic experience! And look at you guys in the photos having so much fun! Ohhhh it looks like Palawan! It reminds me of Elnido. hooo! Thanks for sharing! That sounds like so much fun! I would love to go on one of these cruises. That’s a wonderful and exciting cruise to try! I’m glad to find there’s this kind of cruise in Asia because I only know of Caribbean cruises. The island hoping looks really fun and beautiful but what excites me more is the experience. It would be fun to meet different people through this cruise. The beach and the water looks amazing! I can’t wait to travel to a warm beach soon! And all this time I thought this was in El Nido. I had to read the whole thing to convince myself it’s not. Haha. Nice pictures! Wow, that looks like a beautiful Thailand vacation. Such beautiful waters. I went snorkeling once! So fun! I wish I was in Thailand! That looks like so much fun! Wow!! All your photos are amazing!! I want to go back to the beach!!! A cruise dedicated to booze – can’t really beat that. I’m sure that was so much fun! Who wouldn’t want to try this at least once if they’re in the area, right? It’s really nice to meet new people on the way to lovely islands as well. This is definitely worth it. Looks like lots of fun! Its great that they knew what to do when someone stepped on an urchin, thats really important. Would love a cruise in this area but I don’t drink so I’d probably opt for a non alcoholic one. The water and your photos look amazing!! The scenery covered in this cruise looks fantastic. Everybody looks like they are having so much fun which is sure sign of a good outing! Captain Bob’s Booze Cruise sounds like a really fun time. You get to set sail, see some beautiful sights, and have a few good drinks. Looks like y’all had fun! Definitely an adventure to visit so many places. That looks like so much fun. I’ve never been on a booze cruise before. Sounds like a great time. That water looks very beautiful too! This is such a lovely place to visit. I sure hope I can bring my boys there one day! Looks like such a cool cruise – you went to some beautiful places and it looks like you had a blast!! This looks like a bunch of fun! The scenery is beautiful as well! I love your photographs! I’m loving the scenery so priceless, Thailand is listed on my bucket list. I have seen a lot of nice beaches in this area and good reviews as well. How fun!! I love visiting islands that I haven’t been to before. I’ve never been on a cruise like this before, it’s totally worth trying especially since there’s booze! 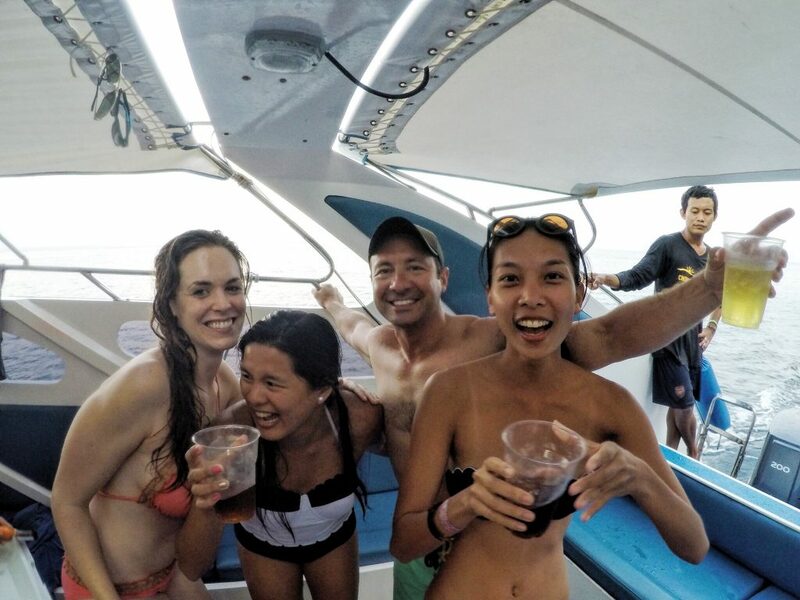 I’m sure the island hopping was more fun with new friends and unlimited booze! Such a fun way to meet new people or spend the day with friends. The scenery is amazing and so beautiful. This looks like a beautiful area to visit…such clear water! I love to snorkel too! There is definitely a lot to see when you snorkel there. You’ll love it for sure. Lots of fun and excitement. So love this event. I have always wanted to make a cruise trip.its so much fun.and this looks really well organised and amazing.I bet you had such a great time. It looks really fun! I’m sure you had fun adventure! Captain Bob’s Booze Cruises sound like a fun time. I would definitely love to do the wild monkey feeding at Monkey beach. I’m so happy with these pictures, it’s really fun. Love the place. I love the pictures of all the natural beauty you were able to see. It’s a shame you weren’t able to go in the cave. Wow! This cruise made a lot of awesome stops! Thanks for sharing! Oh my that sounds like a lot of fun! My husband and I would love this, and the views look incredible! Thailand is one of my favorite destinations to visit, but never had a chance so far. 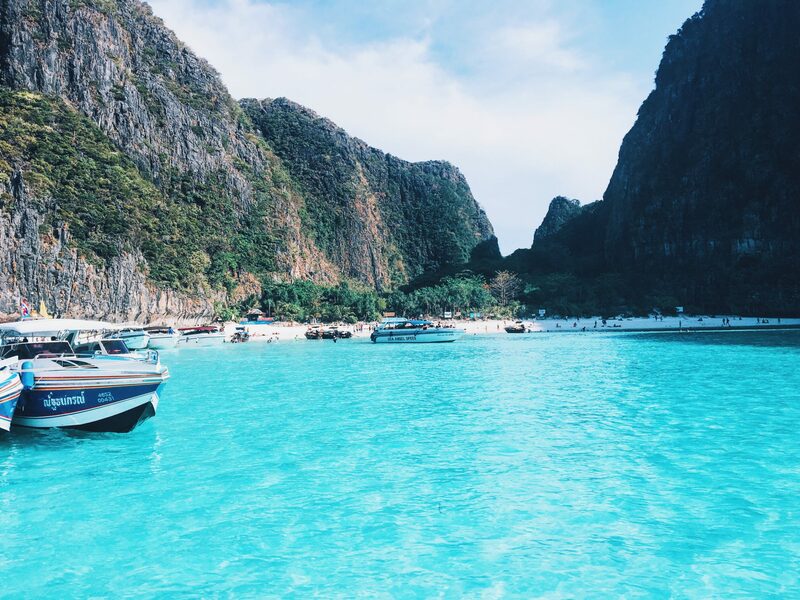 My goodness these pictures are quiet amazing & the Captain Bob’s Booze Cruise tour sounds like a great option to explore the best out of Thailand. I love everything about it except the booze part haha since I don’t drink anymore. Place is gorgeous and so are you guys. This looks like a ton of fun…but not for my pregnant self LOL The scenery alone is amazing, though! Ahhh this looks like SO much fun!! I love that they give you a USB of photos after – that’s such a lovely touch. I haven’t been to Thailand but would love to… those photos look amazing by the way! What a fun tour in a beautiful place! You can really enjoy nature around you! Love it! Going back to this entry now. 🙂 i’ve read this before but my comment did not seem to appear here. I’ve been to Thailand but not on a cruise ship. Now im thinking of conquering my fear and go on a cruise tour here! I’m a huge beach buff and love visiting’em very frequently. Although I’m not much of a swimmer, spending a day at a beach shack listening to the waves and playing with the waves is more my type of fun. Your cruze tour to the islands look like total fun. The destinations are picturesque and stunningly beautiful.